Learning the path that others took to their success can provide a roadmap you can replicate for your own journey. 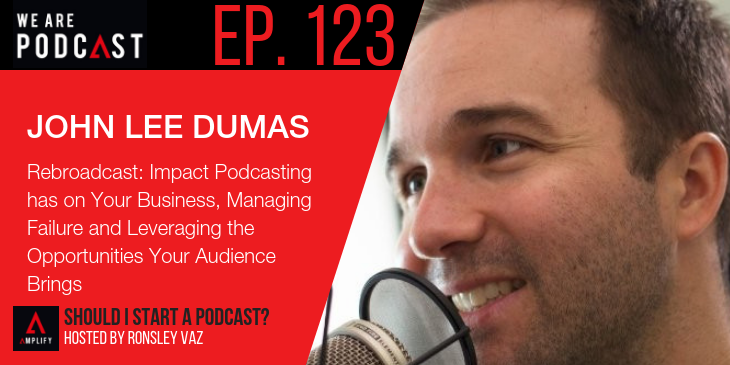 For today’s episode we are going way back to the second episode and giving the chat with John Lee Dumas another listen. John Lee Dumas is the Founder and Host of EntrepreneurOnFire, awarded ‘Best of iTunes 2013′. John interviews the most inspiring and successful Entrepreneurs 7-days a week and has been featured in Forbes, INC, & TIME Magazine. John shares with us what did he thought about podcasting before launching his business, the kind of impact podcasting has had on his business, why being an avid listener of podcasts and reader of Entrepreneurship books led him to being successful online Entrepreneur. He also discusses his willingness to put the time and effort to to be an Entrepreneur On Fire and how to find unique opportunity in your own niche.